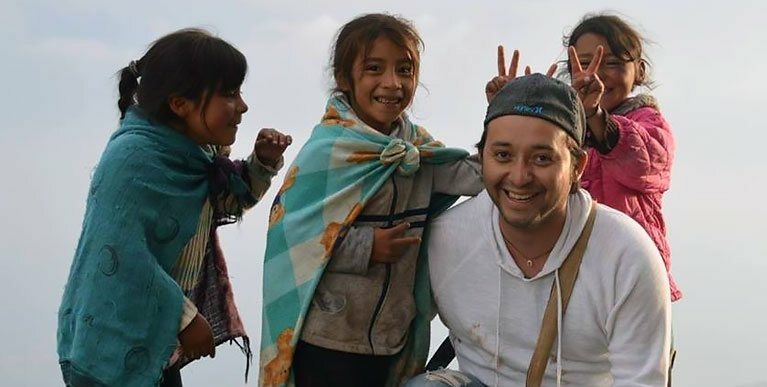 Whatever language you are studying, there is no doubt that the best way to learn is to go to the country where the language is actually spoken, and to immerse yourself completely. One of Workaway.info's main objectives is to facilitate contact between possible host families and students. 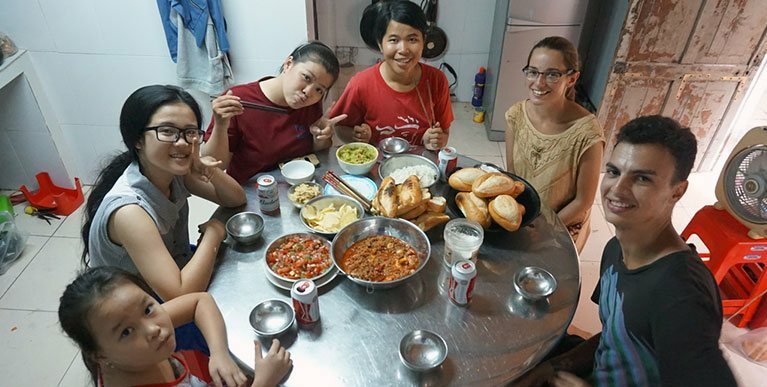 We feel that the many advantages of living with a host family far outweigh the alternative ways of learning. The biggest advantage, of course, is the economic one. No agents to pay, no host families to pay and no school fees! In our experience Workawayers learn more staying and working with a host family than they do in a 4 week course at a language school. They are not put into a class of students with the same mother tongue and they have the opportunity to mix directly with native speakers of the country of their choice. You have a reason to communicate. Helping someone out is often the best way to start conversations and expand your vocabulary. You get to choose your own destination and host family simply by looking at our host list and emailing the families or organisations that interest you the most. If you are learning a language for career/professional reasons you can also select a Workaway situation within the same field, so that the language you acquire is tailored to your future needs. In the country, by the beach, in the mountains, wherever suits you best. Choosing a setting where you feel comfortable, relaxed and happy means you will learn much more quickly too. Communicating with a local person and speaking in a classroom situation are completely different scenarios. In class you are either conversing with non-native students or with the teacher who has already provided you with the necessary language and has pre-meditated expectations on how you are going to respond. A local person may have less of a sympathetic ear, but that is precisely what makes it more meaningful, more of a challenge, and a lot more rewarding. It is, after all, real communication. Not only does it teach you to stand on your feet, but it will develop your confidence in the language in leaps and bounds. Total immersion is a high impact experience, tough at times, but definitely a fast track way to language acquisition. The language becomes part of your life, there is no time for chewing on the end of your pencil and gazing out the window wishing you were out there. Because you will be out there! The “where” is up to you. There is nothing like the pressure of the classroom to make you feel nervous and even hold you back. Learning by doing, by participating, is very effective. In fact, it is believed that our locomotive skills and language acquisition skills are located in the same area of the brain and indeed this is how children learn. Living with a family makes the language familiar, literally bringing it home to you. To really appreciate and understand another language you need to understand its culture and philosophy. The only way to do that is to immerse yourself in it. It will be an adventure, and no doubt there’ll be some unexpected elements… but it will certainly be memorable and you'll have plenty of tales to tell on your return. Your everyday life is lived in that language, whether it is peeling the potatoes or feeding the cat! The exchange is natural and meaningful, a far cry from the prescribed grammar/structure based methods of classroom textbooks. Every single interaction or conversation, from buying a bus ticket to making new friends will be in this language. You give yourself no choice but to learn it and every incentive to learn it well! Who knows by the end of your stay you may be even dreaming in that language!